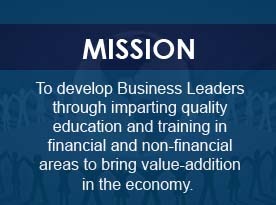 If you are a finance professional who wants to enrich professional skills and knowledge about the details of International Accounting Standards (IASs)/ International Financial Reporting Standards (IFRSs), Diploma in IAS/ IFRS is a swift and proficient solution to meet such needs to develop an effective working knowledge of the area. Currently, in over 115 countries it is mandatory for public limited companies to comply with IASs/ IFRSs. Realizing the emerging diversities and complexities in the world of accounting and the excessive use of IASs/ IFRSs in relation to its local and international applications, the Institute is offering Diploma in IAS/ IFRS to equip professionals with the globally accepted reporting standards to enable them to avail such employment opportunities in the global as well as local corporate market. Comprehend and elucidate the structure of the international accounting framework . Develop expertise in the recognition and application of relevant financial reporting standards to key elements of financial reports . Solve the issues in relation to IASs/ IFRSs. Step forward within various accounting support roles as IASs/ IFRSs specialists . Craft boulevards of international mobility. ACMA/ FCMA, ACA/ FCA, ACCA, CFA and members of other professional institute. Classes will be held 2 hours in a day on Friday/ Saturday and Sunday (4 hours per week). The candidates will be required to undertake a 1.5 hours computer based examination (CBE) of each level consist of 50 MCQs of 2 marks each. Passing percentage for each level is 50%. The result will be displayed on the screen at the end of examination and a list of students will be posted on the notice board of respective centre. Upon attending at least 70% classes’ Certificate of Participation’ will be awarded to each participant of Level-I and CPD hours will be granted according to the actual attendance of participants. Upon completion of both levels examinations ‘Diploma in IAS/IFRS’ will be awarded to each participant. However, certificate of participation will be given to each participant for attending 70% classes. Any participant who fails to qualify examination [CBE] may reappear in next schedule examination on payment of Rs. 2,000/- per level to get the Diploma. ICMA Pakistan, ST-18/C, ICMAP Avenue, Block - 6, Gulshan-e-Iqbal, Karachi, Pakistan . 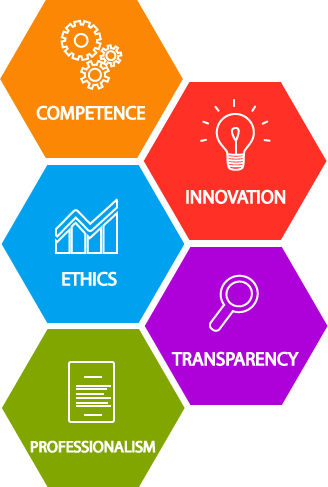 Institute of Cost and Management Accountants of Pakistan [ICMA Pakistan] Address: ICMAP Building, 42 Ferozepur Road Lahore. 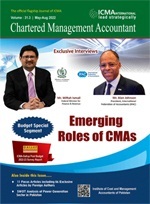 Institute of Cost and Management Accountants of Pakistan [ICMA Pakistan]Plot No. 16, Sector H-9, Islamabad. .